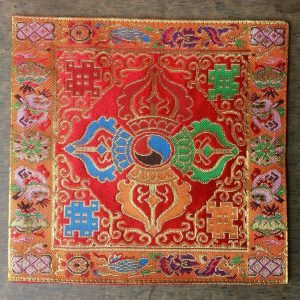 This beautiful silk brocade cloth can be used as a decoration. 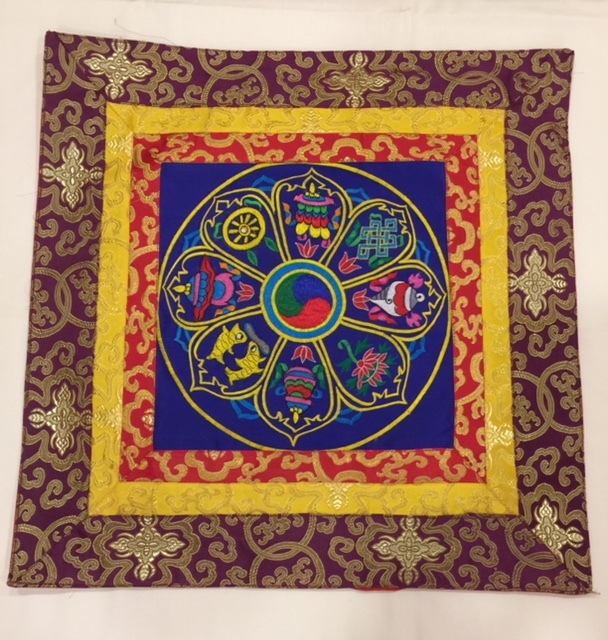 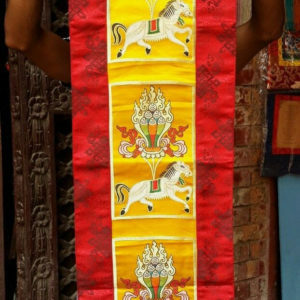 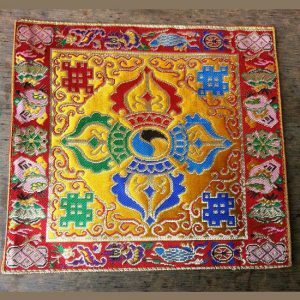 This altar cloth is made from traditional Tibetan style brocade, with Tibetan Auspicious symbols in the center. 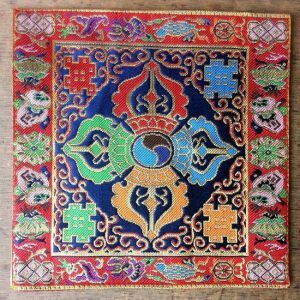 It can be used to decorate your meditation room or add oriental style to any part of your home.